If there’s ever a day when you truly feel like a princess, it’s your wedding day. So why not celebrate with a cake fit for a princess? 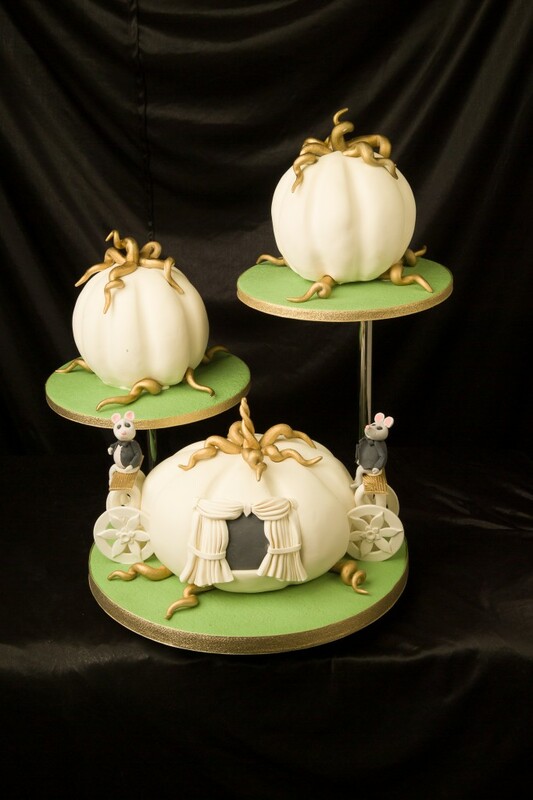 A cake exactly like this Pumpkin Carriage Cake from our friends at Hockley’s Cakes over in the United Kingdom. I don’t know about you, but Cinderella is my favorite princess and this cake is perfect if you’re thinking about a wedding with that sort of theme or if you’re a fan of Disney princesses. To create the “pumpkin carriage” look, the cakes are shaped and carved into the pumpkin shape and then covered in roll-out icing. And of course no pumpkin carriage is complete with a couple of magical sugar mice! Thanks to our friends and Hockleys for sharing another amazing cake with us.